The premium line of Salvatore hardcover releases continues with this haunting tale. 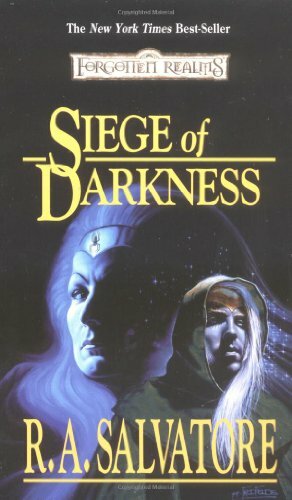 This new release of the classic R.A. Salvatore novel continues the tale of Salvatore’s signature dark elf character Drizzt Do’Urden™. The series has now been re-numbered to tell the story of Drizzt’s life in chronological order rather than initial release order. Each title in the series showcases these top-selling novels in new, deluxe hardcover editions which feature brand-new cover art by Todd Lockwood and new introductions written by those who have become familiar with Salvatore and Drizzt over the years. R.A. Salvatore was born in Massachusetts and still makes his home there. He has published numerous Forgotten Realms novels with Wizards of the Coast, Inc., most of which have been New York Times best-sellers. He is also know as the best-selling author of the Star Wars Episode II: Attack of the Clones novelization from Del Rey.